It's our first visit to Sneaky Pete's, hidden down under the arches on Cowgate surrounded by corporate bars and big open areas for the rugby fans to congregate, acting as an oasis for those who want to catch real live music. 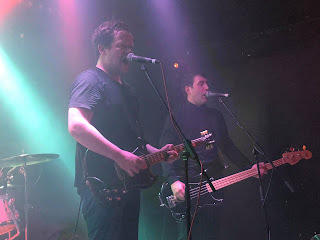 Imperfect in its layout, with posts in the way, it focuses rightly on their sound which is brilliant all night, turned up right to the point of distortion but no further. It's great to see venues like this still existing as many get sanitised of their character and history in the chase for money and cache. There's a decent turn out for the show considering it's Ist Ist's first venture north of the border and limited promotion other than word of mouth and there's an excited buzz of anticipation once the band have assembled themselves on the small stage, much closer together than they're now used to. Preacher's Warning feels even more claustrophobic in this dark cramped space, every little nuance in the bass or keyboards able to be heard and the cracking emotion in Adam's voice, particularly on I Want To Disappear and Emily, to add to the almost suffocating tension of the songs that make Ist Ist such an enthralling live act and draw those further back involuntarily forwards. Where once they relied on power their game is much more subtle these days even in the moments where the sound is threatening to deafen people. Andy's bass is razor sharp, often being played as the lead guitar, whilst Joel's drums can one minute be pummeling out the most powerful marching beat to the songs and the next adding light and shade to Mat's keyboards which have allowed them to extend their horizons on stage and recreate the likes of Preacher's Warning and an eerie haunting I Want To Disappear where the audience stop fixated on the stage as Adam delivers a vocal right on an emotional knife-edge. It's a world away from the reputation that Ist Ist were painted with a couple of years ago. Now they have an army of radio-friendly singles like Jennifer's Lips, Exist, Emily and Strangers that people will connect with if they can pass the formulaic algorithms and cosy arrangements that determine what gets played on the airwaves these days. 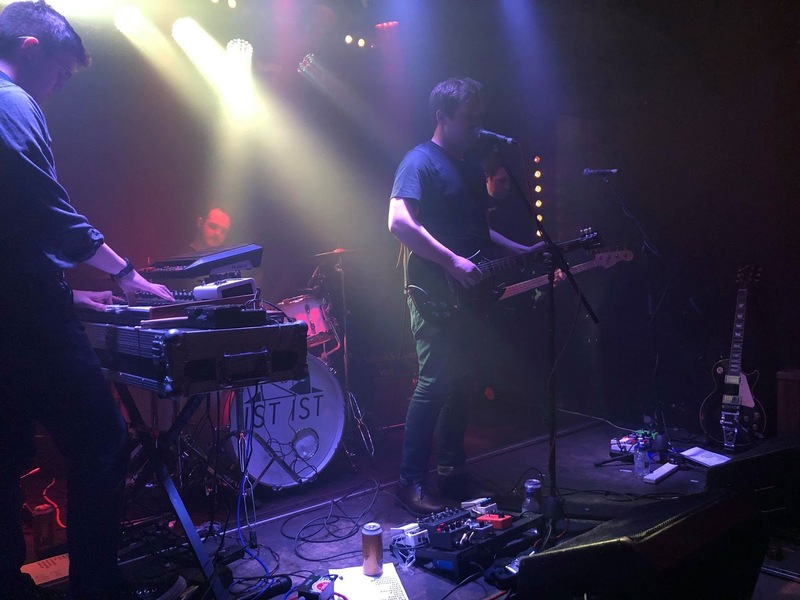 Sneaky Pete's felt like a big band stepping down for an intimate show than it did a band making their first visit to a city and unsure what type of audience they would find there. That doesn't mean of course that they've simply smoothed off their edges and lost something in the process. Diversion has Adam letting loose a blood-curling scream, Strangers might have an anthemic chorus but it'll steamroller you on the way to the moment it hits you whilst I'm Not Here and Silence retain that hard industrial edge that would have appealing to goth and punk audiences falling in their direction. One of the international contingent in the crowd from Germany commented that she didn't usually like this type of music but couldn't help but be drawn into it and that's something Ist Ist have learnt how to do over the past twelve months. It's something that's evidenced by the growing crowds they're getting outside of their home town as well with people travelling from afar to see them in small places because they're at a level in Manchester now where they can spread their wings in bigger venues and this is the only opportunity to see them eyeball to eyeball. With a fair wind and hopefully a debut album in the works that might not be the case in the not too distant future. They played Preacher's Warning, I'm Not Here, Silence, Son Is The Father, Black, Interlude, Emily, Exist, Jennifer's Lips, Strangers, I Want To Disappear, Undignified and Diversion. Red Light Effect are on Facebook and Twitter.